There are many reasons to use a raised bed garden, some of which are explained in the June 28th edition of the Star Tribune article titled "A seasoned gardener makes the case for raised beds." After reading it, and then viewing the linked video, I want to point out a few caveats about the raised bed tutorial provided in the Good Housekeeping link. The first caveat regards the extra wide 2x12 planks. I avoid these planks for most construction, especially raised beds. 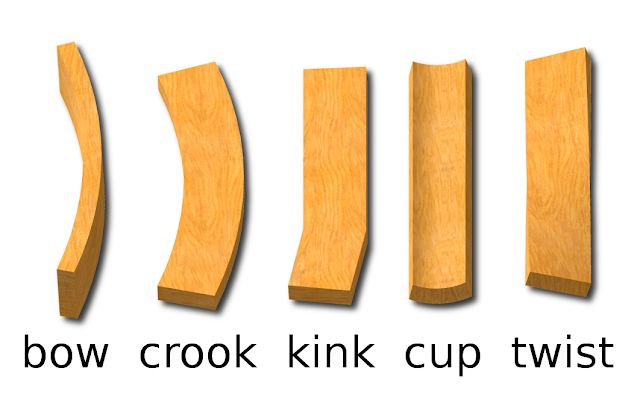 The grain pattern and width of these low cost planks increases the propensity for cupping, which is a warping that curves around the center length of the plank. The nearly constantly wet interior and drying exterior will increase the chances of this type of warp. Sure, it's allows you to have a raised bed that is 11.5 inches tall in one layer of planks, but not the best solution. The 2x12 lumber is also likely to twist, seen above, over its length. Twisting, cupping, and some bowing are likely and will exert pressure on the rebar, bending it outward. Soil may leak from the corners and it won't be attractive in your landscape. Lastly, a 2x12 tends to cost more by a few percent than two 2x6 pieces. A 2x12 requires a larger tree of which there are fewer, translating into higher costs for wider pieces of lumber. The second caveat has to do with the rebar. First, you'd be wise to consider the power, phone, and gas lines underneath the lawn before pounding metal stakes 12 inches down. In Minnesota, you can call Gopher One Call for this service -it's free. The other issue is that this exposed rebar can be sharp and will certainly be rusty -if you have little kids around, I'd file the tops into a nice rounded shape. Finally, it is likely that the rebar will move around. I have used rebar inside my rough sawn cedar boards to pin smaller width boards together and to resist the outward pressure the wet soil causes over four feet of length and the typical 12 inch height. Taller beds will require even more reinforcement to shore up the long sides. Lastly, it looks like the wood in the video is treated -its gray-green color and wide grain pattern doesn't look like typical box store douglas fir (pinkish-salmon color) or spruce-hemlock fir (yellow-white color). It looks like copper quaternary or copper azole preserved lumber. Copper is a fungicide and when oxidized, turns the blue-green color of the Statue of Liberty -the reason for the greenish color of the wood. Many manufacturers know that people aren't fond of the color or its implications and have been adding a rust red dye under the branding "cedartone." So what would I do? Honestly, if I wanted a raised bed on the cheap of 11 inches tall, I might consider finding some local stones -it would look better than the wood in the video. 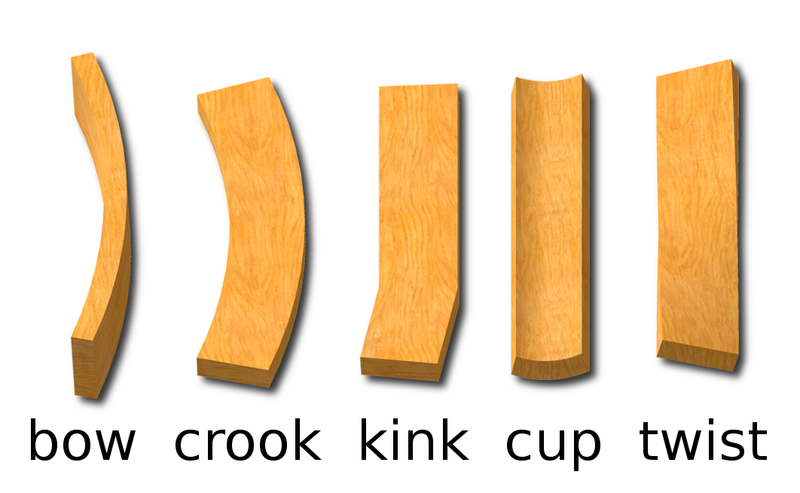 If I was determined to use wood, I'd rather use smaller lumber, like 2x6, double stacked to reduce cupping and twisting. Instead of rebar, I would use 2x4 lumber on the inside corners, screwing the 2x6 to them. For lateral reinforcement, I would call Gopher One, then pound the stakes into the ground on the inside of the longest sides, attaching them to the lumber with small straps or pipe brackets and screws. If you aren't planning to till yearly, the easiest thing to do is screw another 2x4 onto the center inside, each long side, and run a strap across that connects to those two 2x4s. The strap can be 1/16th thick aluminum or can even be a 2x2 piece of lumber.